The tablet market has two new serious contenders as of today as the iPad Air and iPad mini Retina officially enter the arena. Apple's latest high-end slates were unveiled at a special launch event in California, where we also heard updates on the new Mac Pro and Macbook Pro. Below you'll find all our videos from the iPad Air and iPad mini 2 launch, including TechRadar's first impressions and hands-on videos. We'll be brining you more iPad video content over the coming days, which you'll find on-site and on TechRadar's official YouTube channel. The team give their reactions to Apple's latest flagship tablet: the iPad Air. 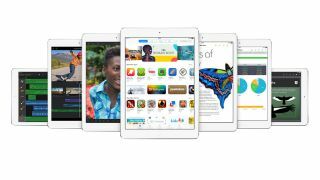 Apple's second generation iPad mini comes with a sumptuous 7.9-inch Retina display. Here's what we make of it. TechRadar gets some hands-on time with Apple's new slim, svelte flagship tablet. We get to grips with the new Retina-toting iPad mini 2.